Motion Sickness: What's That About? 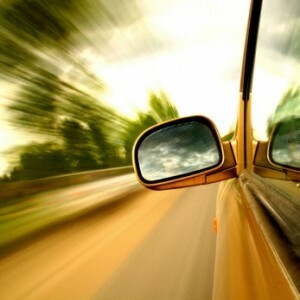 [Everyday] Psychophilosophy » Motion Sickness: What’s That About? Motion Sickness: What’s That About? Nothing says fun like a long road trip. In a small, slow car. With a bunch of guys. Who may or may not have put on deodorant. This week, I and the rest of the social psychology department are headed to Chicago to attend a conference on—you guessed it—mechanical engineering. Of the brain. Get it? It’s like a funny way of alluding to psychology, by saying… Okay, I’ve been up since 4:30am. Cut me some slack. As a youngin’, I used to love car rides because I would get to spend a series of uninterrupted hours just reading (and learning how to most efficiently tune out my father’s talk radio stations). For a number of people, however, they were never able to enjoy that pleasure of extended, leisurely reading, because of motion sickness. That is, that most unpleasant queasiness that arises from, well, just sitting there. Are you one of these unlucky individuals? Have you ever wondered why people get motion sick? To begin, it helps to understand how the inner ear functions, which, as many people know, controls our sense of balance. That is, the inner ear has a number of tubes inside of it that are filled with liquid so that our body can judge the position of the fluid (kind of like a level) to determine the angle of our body. However, this process works in conjunction with our vision such that depending on the angle of that fluid and what we see in front of us, we can determine our placement relative to the ground. When you’re driving, though, these signals engage in some serious bickering. For example, when you’re trying to read in the car, your eyes are focused on a stationary object—indicating to your body that you aren’t moving. However, as the car turns corners, goes up and down hills, even vibrates over little bumps, the fluid in your inner ear is telling you that you are in fact moving. And like any pair of siblings, both have to be right when both are half wrong. This disagreement in perception is known as “sensory conflict theory” and explains that this discrepancy produces the inevitable “motion sickness” because of a section in the brain called the area postrema—the part of the brain that controls vomiting. Therefore, your body enacts its psychological defense mechanism, making you think that you’re getting sick to your stomach so you’ll throw-up the neurotoxin. Now, there are countless explanations for why some people get more motion sick than others (e.g. some people are more sensitive to their psychological defense mechanism, some people have learned how to better cope with the triggers), but even the most resolute, non-motion sick people can experience it under the right conditions. *This last line is a joke and not reflective of any of the people I’m traveling to Chicago with. Well, I can’t say that for certain because we haven’t left yet, but I’ll give them the benefit of the doubt. EDIT: As it turned out, that last line was not a joke. We drove the freeway with the windows mostly down for a long stretch. Treisman, M. (1977). Motion sickness: an evolutionary hypothesis. Science, 197(4302), 493-495.